Over at The Undeniable Life we believe in girls supporting girls, so we're taking girl empowerment to the next level. Starting January 2019, PowerSquad will be expanding! We will now have chapters in Summit and Westfield, NJ! Our mission has always been to help girls find their voices, and to empower them to start their own businesses and ventures. Monthly meetings for middle school and high school girls will focus on connecting girls with one another from other towns, giving them the knowledge and resources to start businesses, get organized, and over all helping them with the self-confidence and self-assurance they need to support not just themselves - but also one another. The best part? 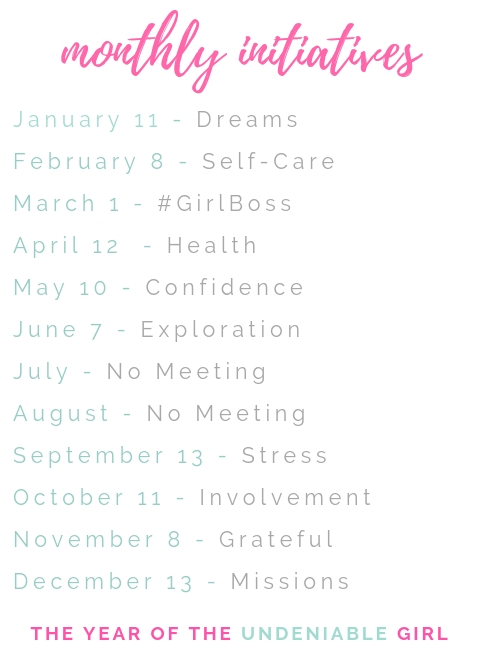 Some of my favorite local #girlbosses are going to be in on the fun! Interested in signing up your daughters? RSVP to our Facebook Event for our Interest Meeting, or send us a message. more info + Details to come!